The 44-year-old actress took home the trophy for her acclaimed role as Dr. Rainbow "Bow" Johnson in the ABC sitcom Black-ish. Debbie Allen was the last black woman to receive the honor, for the 1982 NBC series Fame at the 1983 Globes. Ellis Ross is also the first black nominee in the category since Gimme a Break&apos;s Allen and Nell Carter were nominated in 1984. Taking the stage at the Beverly Hilton, Ellis Ross dedicated the award to women of color. "This is for all the women of color and colorful people whose stories, ideas and thoughts are not always considered worthy and valid and important," she said. "But I want you to know that I see you. We see you." The Reed Between the Lines actress also expressed her gratitude for her sitcom, saying, "It is an honor to be on this show, Black-ish, to continue expanding the way we are seen and known, and to show the magic and the beauty and the sameness of a story and stories that are outside of where the industry usually looks." 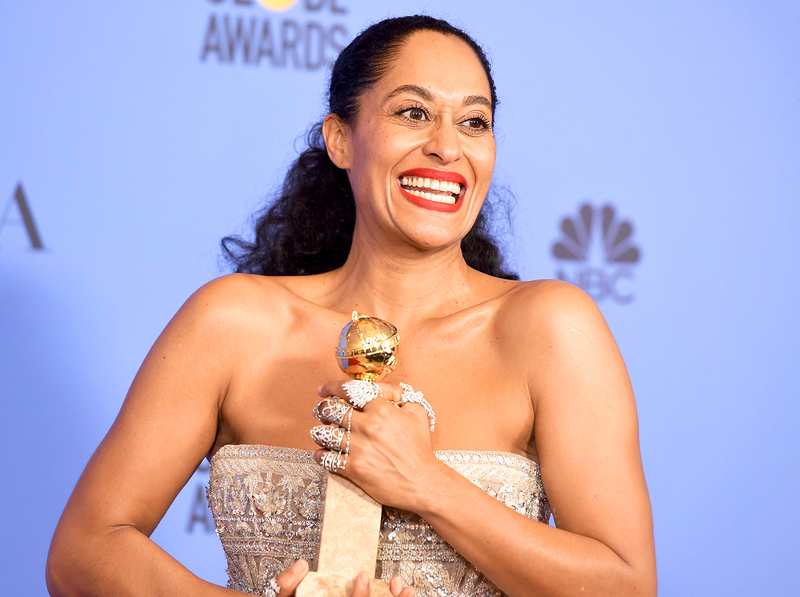 Backstage, Ellis Ross told reporters that she was proud to be a Golden Globe winner like her mother, singer Diana Ross, who won the Most Promising Newcomer Award in 1973. "I never felt like I was in my mother&apos;s shadow," she said, according to Variety. "I always felt like I was in my mother&apos;s embrace." 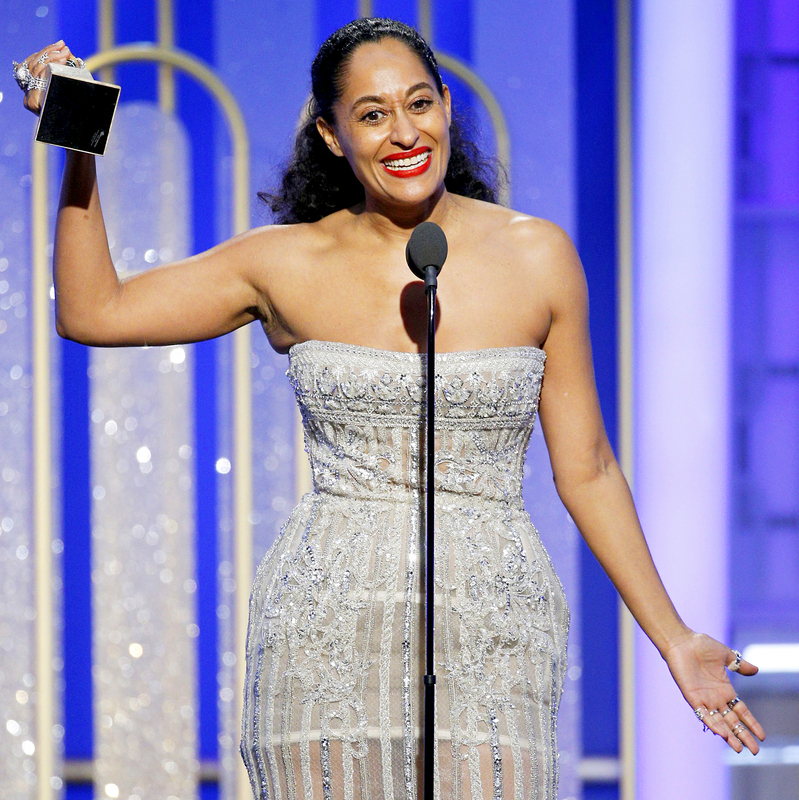 Earlier in the week, Allen, 66, tweeted her support for Ellis Ross and Insecure star Issa Rae, who was also nominated in the Best Actress in a TV Comedy or Musical category. "Congrats Issa & Tracee on well-deserved @goldenglobes nominations!" the actress wrote on Thursday, January 5. "Win-win either way! #tbt last time a black woman won this category ;)."